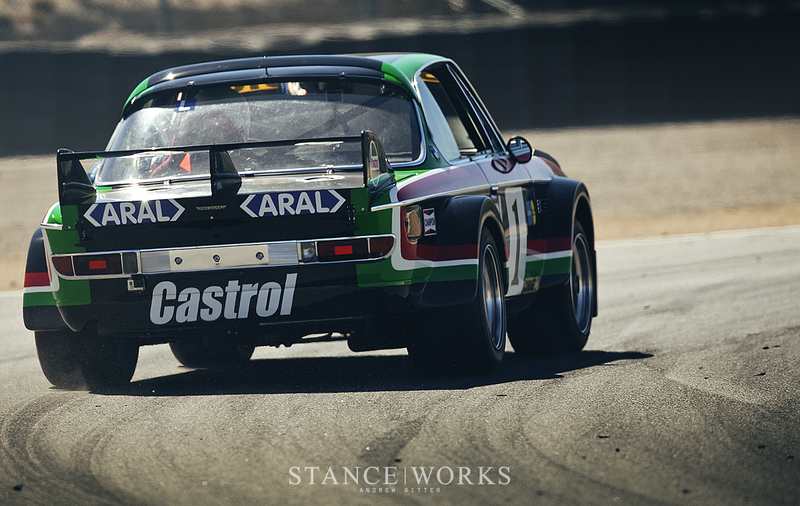 It seems that, somewhere along the way, many ex-racecar E9s wind up with wide Group 5 fenders dressed in white. As teams sold off their chassis to privateers to move onto new platforms, some of the reverence was dismissed and cars were disassembled and reassembled to mimic the M-striped cars that the factory had campaigned with great success. When Steve Walker's latest acquisition arrived at the airport from it's Italian home in 2014, it was no different. Each time the car changed hands for a new season of racing, a new layer of paint and a palette of colors replaced the previous. As it marked off more races and hillclimbs under new ownership, it continued to change. With Group 5 flares replacing the originals, and a fresh coat of white paint, the Luigi 001 chassis was outfitted in the iconic factory colors. 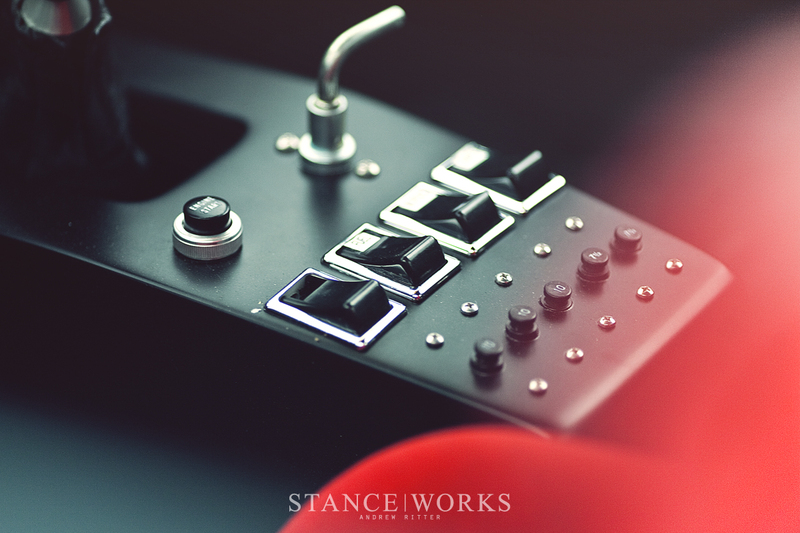 Now, as the e9 has aged and matured, enthusiasts are beginning to view it as a true classic, and the reverence has returned. Its history and success in racing is being celebrated and it has grown in importance, acting as the foundation for BMW Motorsport. 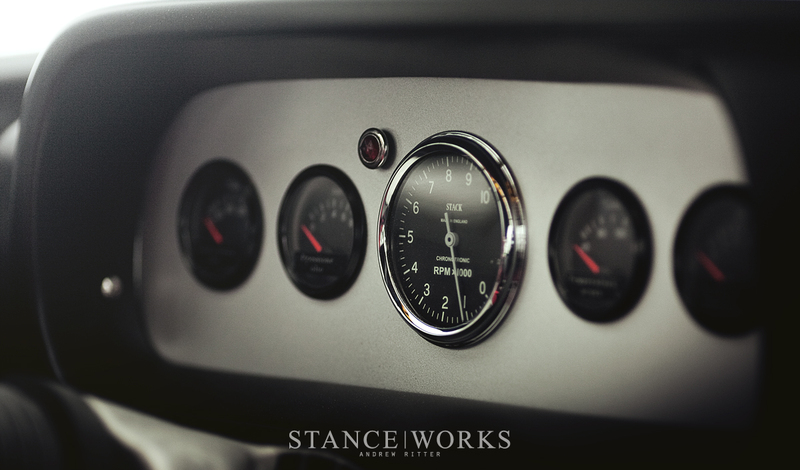 It was with this respect for the car's past that Steve Walker began to plan a restoration. 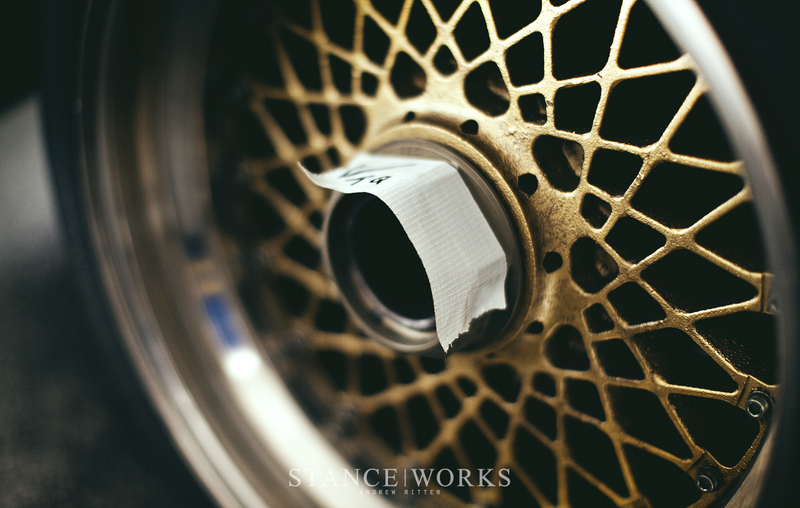 One has to spin the clock back to the 70s to begin the story of Steve Walker's 001 chassis. BMW began to take notice as a team of brothers, Luigi and Francesco Cimarosti, continued to earn a place on the podium of Belgian races. First campaigning a BMW 2002 to victory in the Belgian Championship for Production Touring Cars in 1970, and then securing first-place finishes at the Spa 24 Hour race in 1974 and 75, the Cimarosti brothers proved that they could harness the potential of the German driving machines. In 1976, the regulations in Group 2 of European racing were constricted even more. With rules placed on wheel width, aerodynamics, and engine configurations, the BMW factory team wasn't interested in entering into the ring, but the brothers saw the opportunity and would compete under their moniker, Luigi Racing. 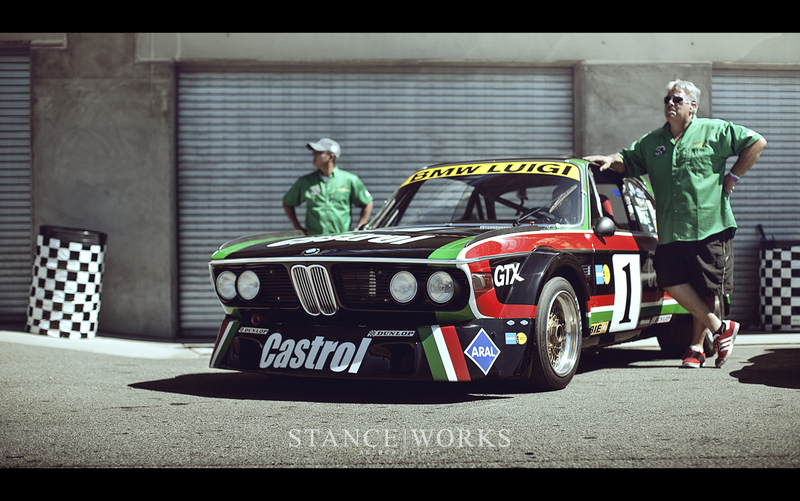 Impressed by their previous accomplishments, BMW supplied Luigi with two CSL chassis for the upcoming 1976 Group 2 season. The Luigi team entered the 001 and 002 chassis in the European Touring Car Championship (ETCC) with great success right from the very first green flag. The 001 chassis was victorious on its first competitive outing in Monza and it set the pace for a winning season throughout 1976. Over the course of the year, the 001 chassis continued to dominate, landing on the top step of the podium 5 times and earning a spot in the top 4 on two other occasions. Its performance was enough to earn it the ETCC Championship after its first year in contention. Luigi Racing brought on Hans Stuck to pilot the 001 car around the infamous Nurburgring, but despite taking pole and leading for the first 14 laps, 001 had to drop out of the race due to an engine failure, allowing the Luigi 002 car to forge ahead and take the win. The two sister cars met a similar fate at the same Spa 24 Hour race that the Cimarosti brothers had won the two previous years. Bad piston rings sent the CSLs to the paddock early, unable to finish the endurance race. A wealthy privateer, Martino Finotto, had ventured in and out of the driver's seat of the CSL for the 1976 season and at the end of the year, he purchased the 001 chassi from the Luigi team. Embellished in a new red and white striped livery, Martino raced under UFO jeans, and following a fall out with the Luigi team, worked with Italian race preparation shop, Imberti, for the 1977 season. The 001 car remained strong through the year and collected 4 more outright wins for its resume, and added two additional podium finishes to the list. 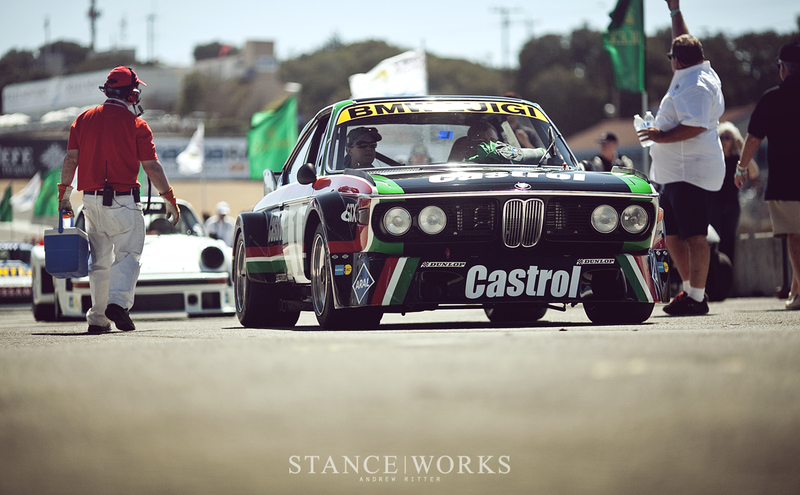 It was clear that BMW and Luigi had built a strong contender and the CSL continued to be passed along from owner to owner, racing for many years to come. After decades of racing in Europe, the 001 chassis found itself on a plane headed form Italy to Seattle where Steve anxiously awaited his new purchase. In January of 2014, Steve managed his way through customs paperwork and finally took delivery of the championship winning CSL. Having previously raced the 1973 Jagermeister CSL in years past, he was no stranger to the E9 model, but the opportunity to revive an aged champion had him excited once again. 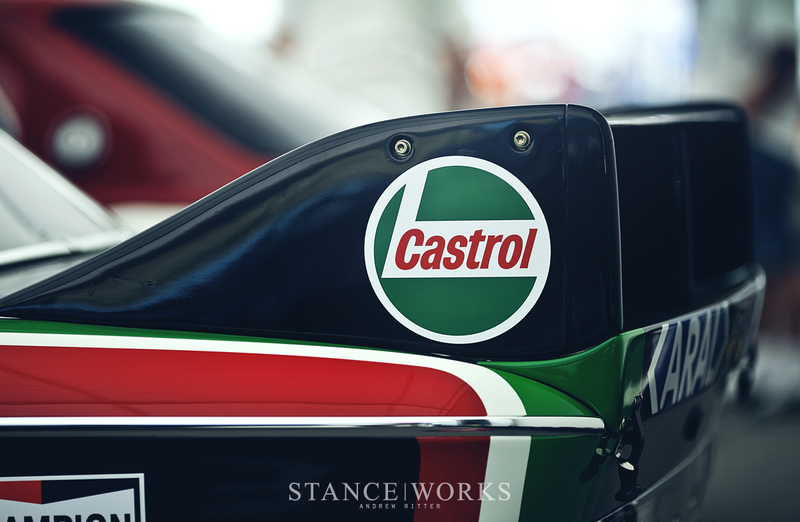 After careful deliberation, he and the team decided that the car ought to return to its original roots, emblazoned in the Castrol livery with the humble flares of the Group 2 class. Within its first month in the states, the 001 car was already being stripped. Years of paint were ground off , unveiling the years of history with each layer. 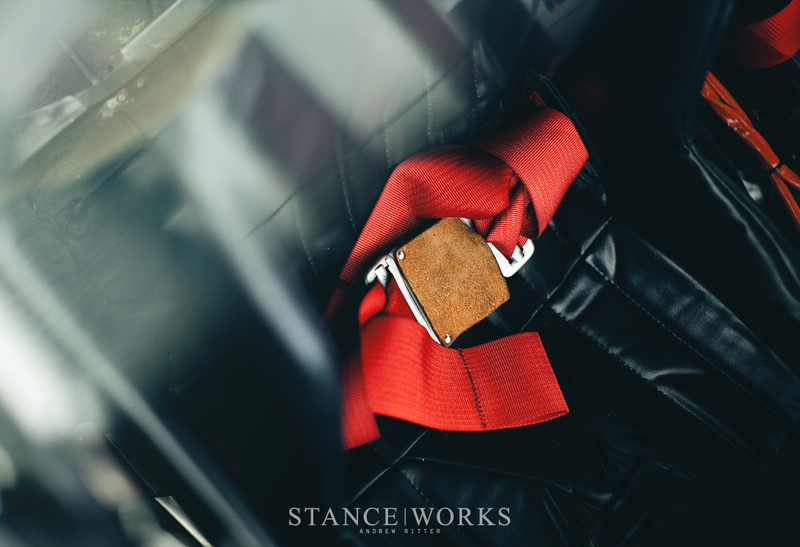 The Group 5 fiberglass was chopped away from the original metal, which had fortunately escaped the deathly grasps of rust and decay. As seems to be customary, the fit of the Group 2 Fiberglass pieces left a lot to be desired, so they turned to After Hours Customs to ensure that the final result was as close to the original as possible. The guys at After Hours Customs worked hard to mimic the shape and gaps in the images collected from the 001's time with Luigi racing. The rear flares were nearly two inches narrower than the fronts when they first received them, so they were widened with additional fiberglass while the fronts were nearly rebuilt from scratch. 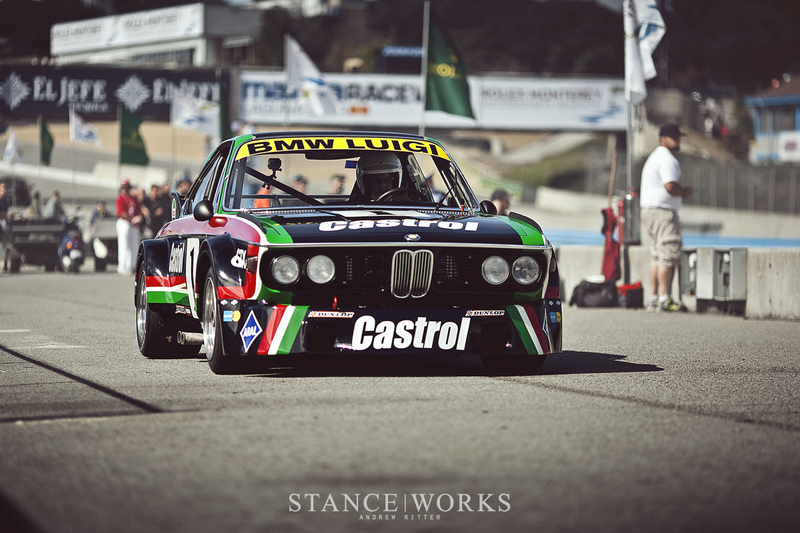 With the flares in place and a front air dam freshly shaped, a rich black paint was laid down and accented with the bright Castrol colors that once marked the Luigi BMW. In only 6 weeks, the team had restored the body to a beautiful shine with the appropriate aero fitted once again. The engine returned to its bay after spending two months with Terry Tinney for a complete rebuild. 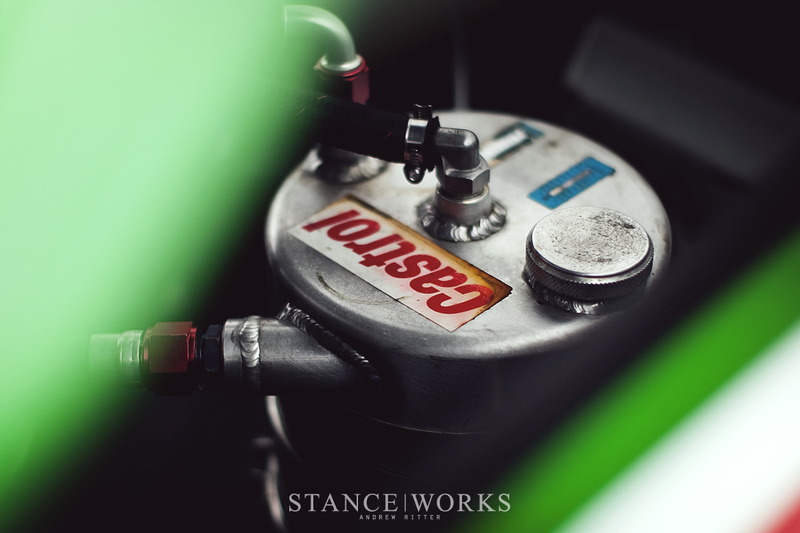 A VAC dry sump replaced the Group 2 mandated wet sump, and a circuit friendly fuel cell was fitted in place of the small capacity hillclimb tank that found its way into the trunk over the years. 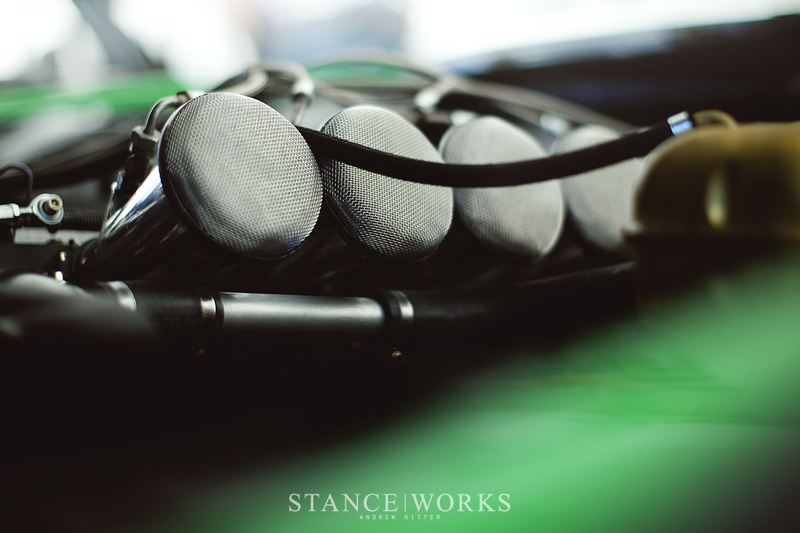 In May 2014, just a few months after diving into the restoration, Steve Walker sat behind the wheel, warming up the engine for the Sonoma Historics race. 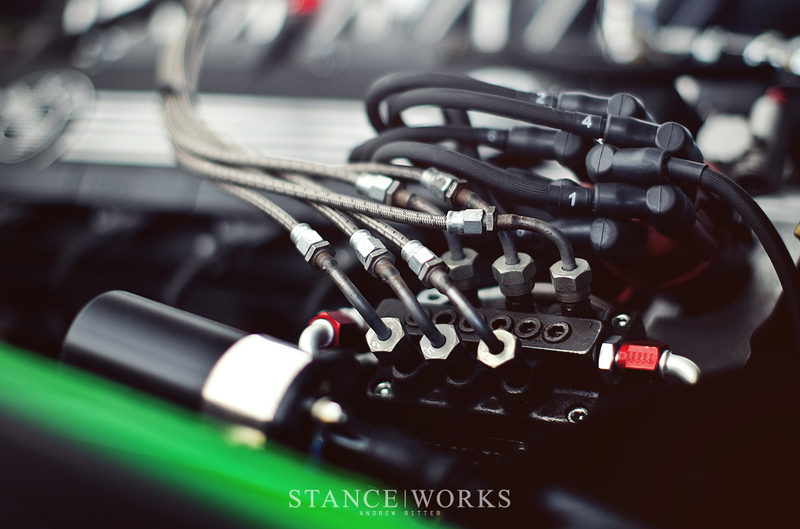 He and the team at Racecraft had completed the rebuild in 100 days, and he was determined to enjoy the fruits of their labor on Sonoma's beautiful raceway. 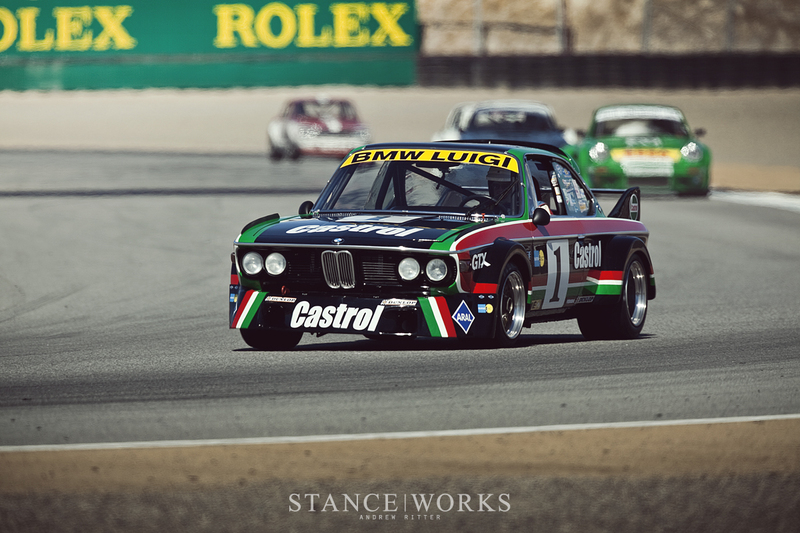 After working through the kinks that are bound to arise in its first races, the CSL made the journey to Monterey for the Rolex Motorsport Reunion where I crossed paths with it. I have such a profound respect for the guys out there that collect and build these cars only to send them right out to the track for proper abuse. 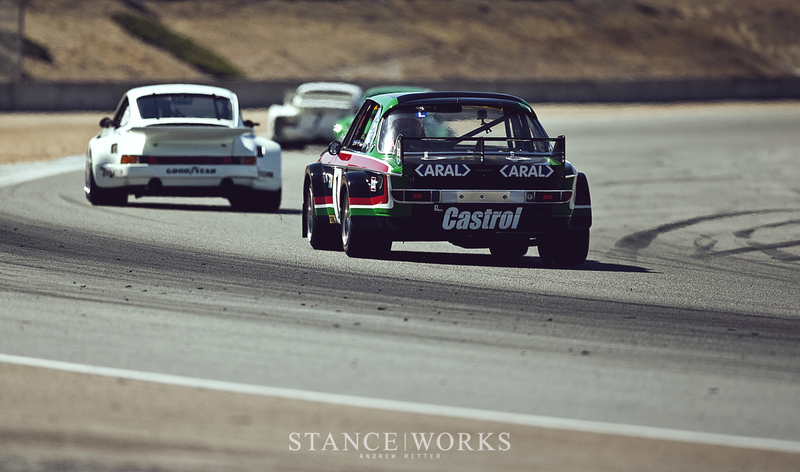 The Luigi 001 CSL has spent most of its life racing and it has shown no signs of slowing down, so to see Steve winding it out through the gears and diving down Laguna Seca's corkscrew brings me great joy. I'm sure the car will continue to make its way around race tracks along the west coast, racing exactly as it was meant to when it left BMW's factory. Wonderful article and stunning photography. It has been a great adventure, but not possible without the complete support of my wife, Mary. She is always there, but usually behind the camera herself.